She is currently being held without bail as she awaits a hearing regarding her mental health. According to the Huffington Post, Burns served six months in jail following a 2006 assault and battery conviction after she attacked a police officer. Two years prior, she was convicted of misdemeanor trespassing. The Washington Post reported that Sharon Weathers Burns’ attorney, declined to comment when approached on Monday. 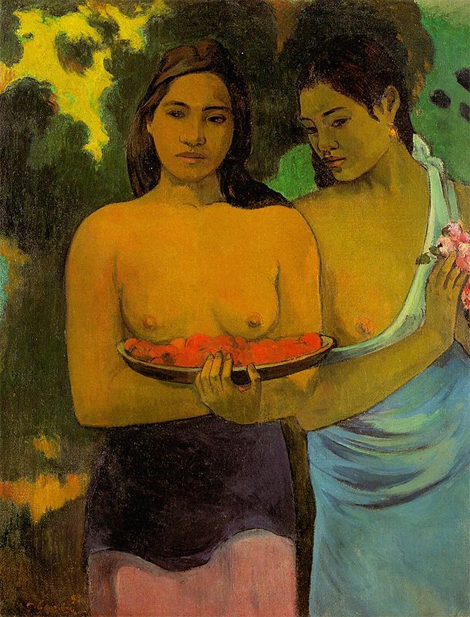 The painting by Paul Gauguin Two Tahitian Women shows two women standing side by side. One has both breasts exposed, and the other is showing one. 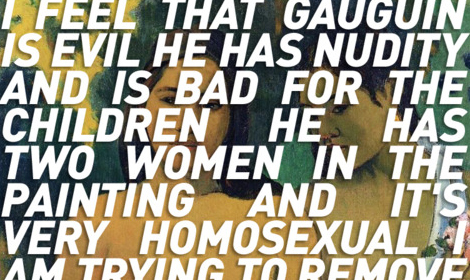 A statement by the National Gallery has confirmed that the painting was not damaged; it returned to the exhibit following thorough inspection on Monday. The Washington Post also cites several acts of vandalism against art: in 1974 a man ripped a painting from its mounting at the National Gallery and smashed a Renaissance-era folding chair into 30 pieces; between 1978 and 1979, also in DC, 25 paintings were damaged by a sharp instrument, including pieces by Henri Ma­tisse and Pierre-Auguste Renoir; in 1998, two Ma­tisse paintings were vandalized with a pencil at the Capitoline Museums in Rome. Neither article mention the exact motivations for the damage in these cases. We’re disenchanted by the violently homophobic nature of the attack in DC, however. Bad for the children? We fail to see how censorship and violence are better than the freedom of artistic expression. Header image by iamsosorry, via Dean Skibinski.